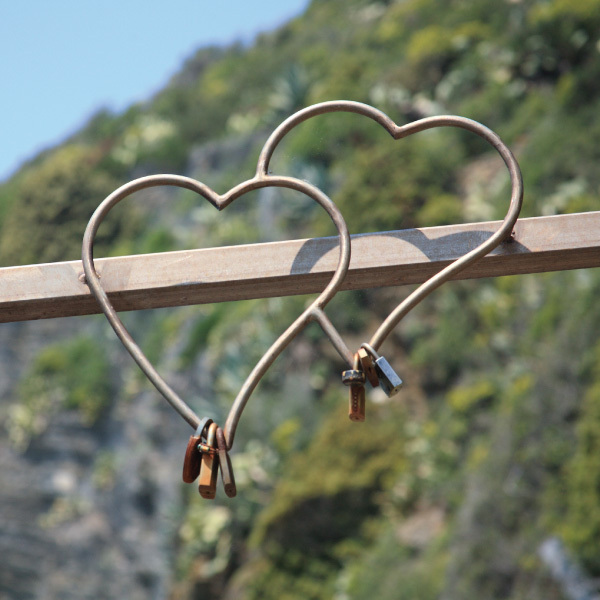 A wedding in Portofino and Cinque Terre is a wonderful gift for the bride and groom and for all the guests. The sea, the sun, and nature are the perfect frame for your love and memories. The Ligurian Riviera is a magical and historical area, loved in the past by poets and writers like Shelley, Byron, Petrarca and Montale. Nowadays the Riviera is renowned among famous Italian and International stars, who choose their exclusive holiday resorts, such as Portofino or Cinque Terre, for their holidays in Italy. On the Ligurian Riviera, you will breathe the authentic atmosphere of the fisherman villages. The small houses overlooking the sea, the tiny boats waiting to be repainted and the lazy cats bathing in the sun, will be the set of wonderful pictures for your wedding in Italy. A small village, Portofino, stretches crescent-shaped along the edge of this calm bay. 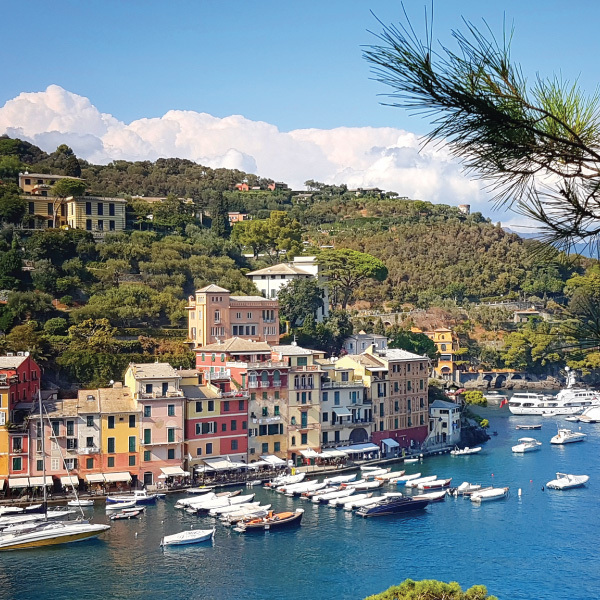 Thus wrote Guy de Maupassant when describing Portofino, tiny sea village on the Italian Riviera circumscribed by the green of the Natural Regional Park and Marine reserve. Intimate and exclusive, Portofino is a great location for your wedding in Italy as well as a wonderful destination for a holiday. Certainly, your family and friends will be delighted by the beauty of the Piazzetta, the symbol of Portofino, and the mild Ligurian weather will make your wedding in Italy unforgettable. “Cinque Terre” translates as ‘five lands’ in Italian. The name refers to five wonderful little villages on the Ligurian Riviera, connected to each other by a romantic walking path overlooking the sea. The Sentiero Azzurro cliffside hiking trail links the villages and offers sweeping sea vistas. 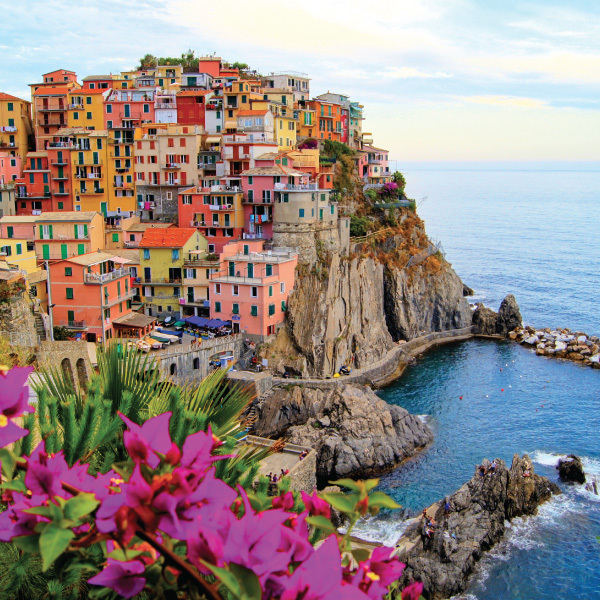 In each of the Cinque Terre, colorful houses and vineyards cling to steep terraces, harbors are filled with fishing boats and trattorias turn out seafood specialties along with the Liguria region’s famous sauce, pesto. Choosing Portofino as your wedding destination in Italy has several advantages. First of all, in Portofino you will enjoy the beauty of the Italian sea without having to fly or drive too south. Furthermore, the Cote d’Azur, the French Riviera, is just a few hours’ drive from Cinque Terre. A day trip to Montecarlo, Nice or Cannes will be a nice experience for your guests if you decide to organize a Cinque Terre Wedding. The beauty of a Cinque Terre wedding is not only the uniqueness of the event but also the beauty of the landscape. During the centuries, terraces have been built to maximize the space over the cliffs. Lavishing arbors of citruses and vines will protect you from the warm Italian sun and your wedding in Portofino and Cinque Terre will be nothing but memorable.